We know very little about how long and how often wheelchair users should stand to get the benefits of standing. The latest scientific research may lead the way. Imagine your doctor prescribes you medicine and tells you that you just need to take as much as you can. This is not a very professional way to prescribe medicine. Nevertheless, this is the way therapists have ordered stand-up training for years. These were the words from Physiotherapist Erik Bergh during a seminar “Why stand when you can sit” at the REHAB Scandinavia 2005. 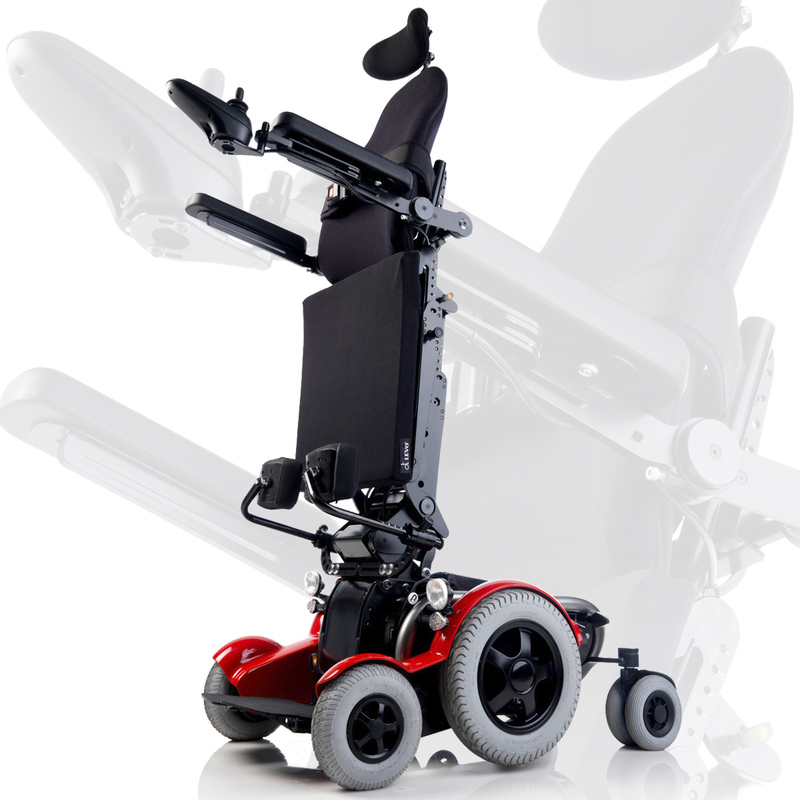 The latest research shows that standing up on a regular basis has a useful effect on many of the secondary diseases most wheelchair users suffer from. Wheelchair users are not sick because they are sitting in a wheelchair. But they get some secondary diseases from sitting down all the time, which reduces their quality of life substantially and in some cases leads to premature death, explains Erik Bergh. 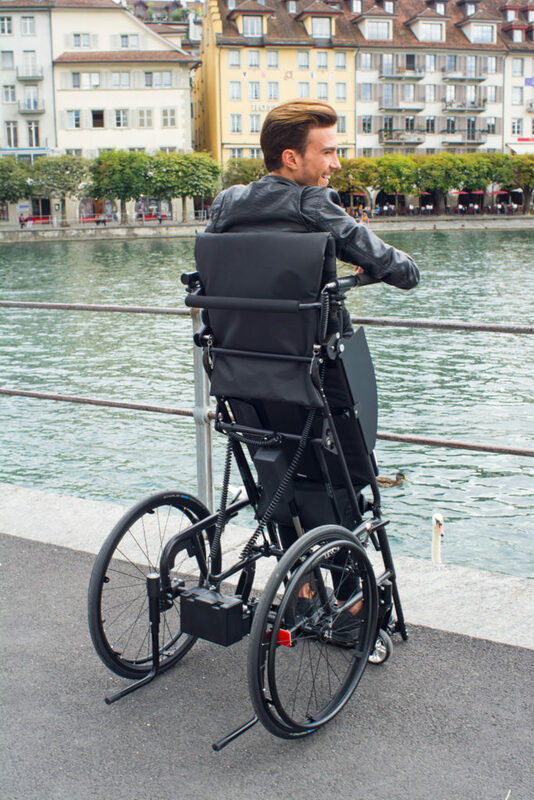 Today we know for sure that variations in positioning and standing up can prevent and reduce these secondary diseases for wheelchair users and thereby increase their quality of life. 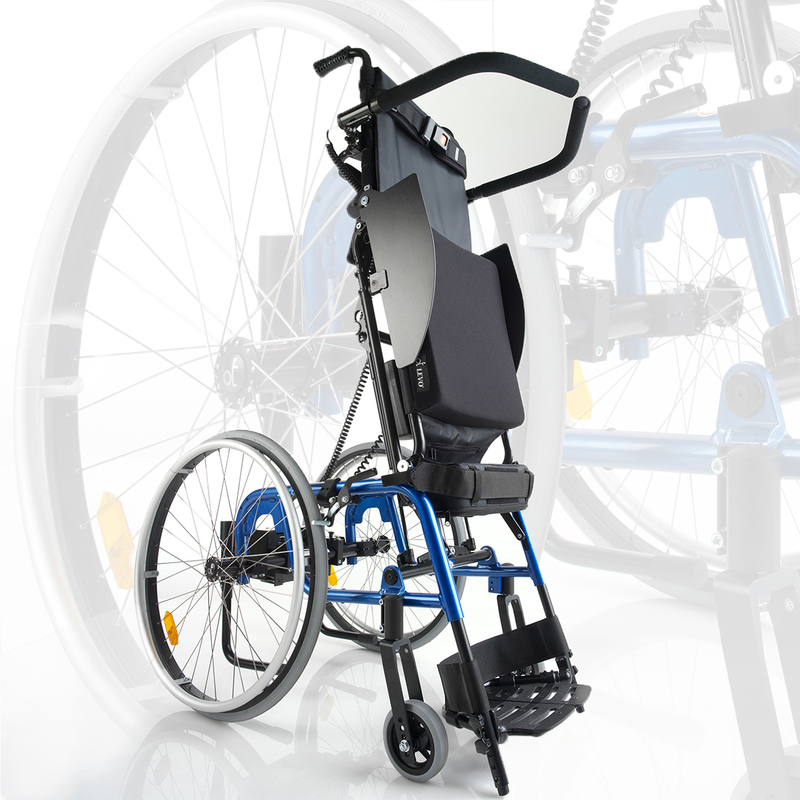 If the wheelchair user is to maintain good health and quality of life, standing up on a regular basis is necessary. As therapists we therefore have the responsibility to motivate our clients to stand, says Erik Bergh. Pressure ulcer is one of the secondary diseases, which is paid a lot of attention today. Pressure ulcers can be prevented by using pressure relieving cushions and by positioning the user correctly in the wheelchair. But the best way to prevent pressure ulcers is to avoid pressure. And the only position where you avoid pressure and have full blood circulation is when you are standing1. When standing, the user also experiences increased volume in the abdominal area and the gravitational pull on the bowels increases the bladder/bowel function. Many wheelchair users report they have less spasm in the extremities after standing on a regular basis. There is also scientific evidence that standing up has a positive effect on preventing and reducing spasticity2. Also there is good evidence that standing on a regular basis strengthens the bones. A group of American scientists have examined a Home Standing Program for Individuals with Spinal Cord Injury3. The results indicate that standing half an hour a day is sufficient to reduce the secondary diseases for wheelchair users with spinal cord injury. However given the response rate of only 32 % of all participants in the program, the results should not be taken as the finally answer to the “doses” of standing. But compared with other research the half an hour standing can be used as a guideline in practice. According to the different research studies, standing less than half an hour is not sufficient to reduce the secondary diseases. Research on standing also indicates that it is better to stand often then to stand only once a day. In other words it is better to stand 6 times for 5 minutes at a time then to stand once for half an hour. The question is how to make standing become a natural part of the wheelchair user’s everyday life. Roughly, the wheelchair users who benefit from standing can be divided into two groups: Those who do not decide for themselves and those who do. The first group who do not decide for themselves; therapists and relatives make sure that stand-up training takes place. The other group who do decide for themselves have to be motivated to stand. One of the best motivations to stand is when standing can be combined with something useful, meaningful or social, says Erik Bergh. Work or daily activities as cleaning, cooking and painting are just some of the activities, which can motivate the wheelchair user to stand. In short, there has to be other reasons to stand then “just” the medical ones. The wheelchair user is motivated to stand by other reasons than the medical ones. This is very normal and human. I also know, I ought to eat better and to quit smoking but I don’t. I need to have other reasons of social, economic or functional significance, explains Eric Bergh. So the wheelchair user is motivated to stand, when given the possibility of being active while standing. This makes specific demands to the standing aid which needs to be mobile and easy to use. A standing table for example is a simple and affordable solution but also a stationary aid, which doesn’t give the user the possibility of being active while standing. The stand-up wheelchair e.g. 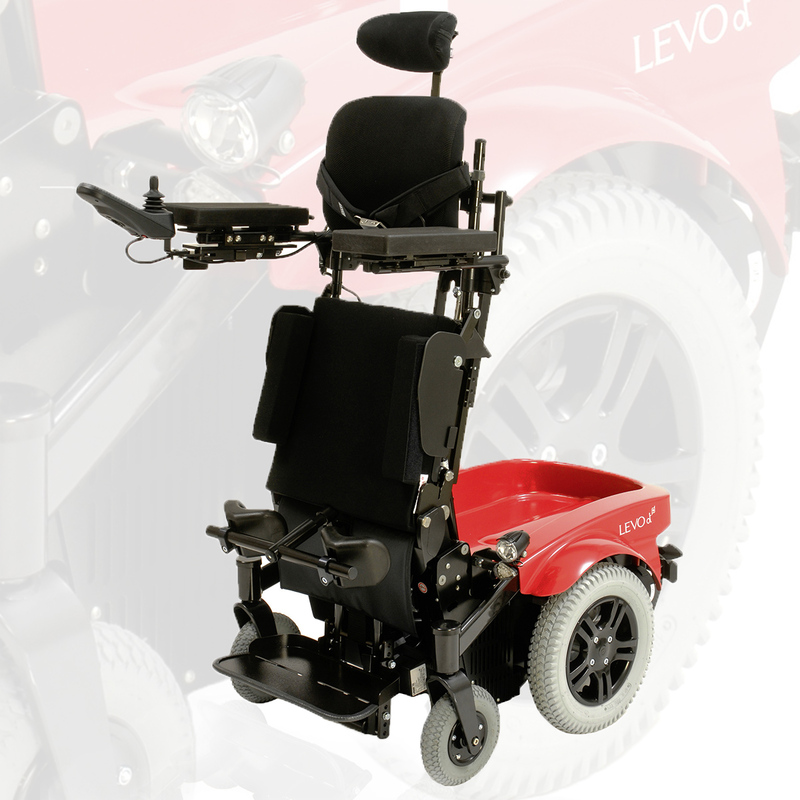 LEVO is another, more mobile solution which offers the user great possibilities of being active and therefore motivates the user to stand. Besides the medical and functional reasons for standing, the psycho-social significance is also important. The major part of the respondents in different research studies on the psycho-social aspect of standing answer: they feel more socially accepted and less handicapped when standing for one thing; and they are at the same eye-level as their surroundings4. The ability to participate in different social activities in the upright position gives many wheelchair users better self-esteem and higher quality of life. And this is what all good therapists strive to give their clients, stated Erik Bergh. 1 Swarts A. et al, 1988: Tissue pressure management in the vocational setting. 2 Shields et al, 2002: Muscular, skeletal and neutral adaptions following Spinal Cord Injury. Shields, 2004: Neuromusculosceletal Plasticity Following SCI. A Paradigm Shift? Nordic Seating Symposium, April 2004. 3 Walter, S. James and others, 2005: Indications for a Home Standing Program for Individuals with Spinal Cord Injury. 4 Eng JJ. et al, 2001: Use of prolonged Standing for Individuals with Spinal Cord Injuries. Approved by Mette Damm Sørensen for professional use by LEVO AG – copyright!